So Lonely in Gorgeous: Smashbox 25% Off Friends & Family Event! 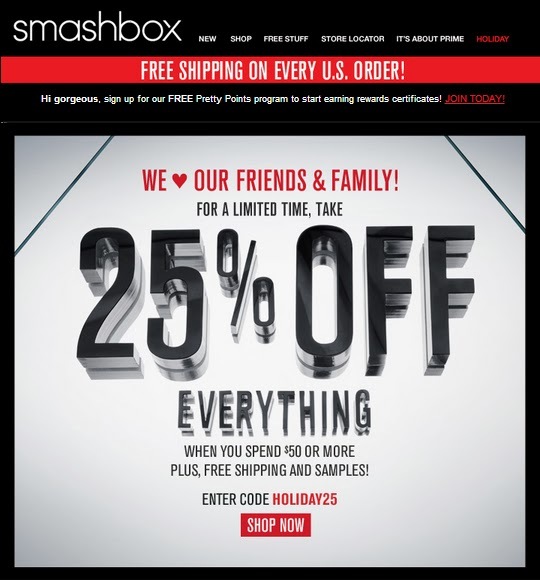 Smashbox 25% Off Friends & Family Event! Enjoy 25% off all Smashbox Products! Don't delay, offer ends at 11:59pm on December 2nd. Stealing Beauty: TheBalm Makes Its Debut At Loft! Running On Empty: October Empties! Ramen, Dayquil, & False Eyelashes! Eye Shadow Exists Throughout The Cosmos!